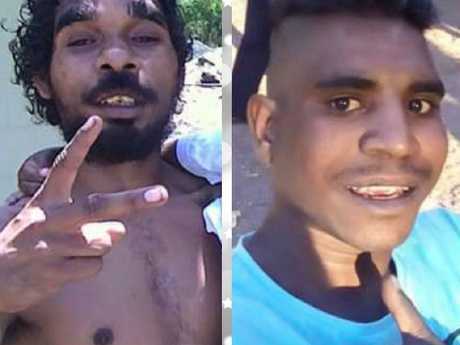 Townsville Police District Duty Officer Ian Wilkie confirmed two men had been reported as missing from the vicinity of Dan Murphy's on Ross River Rd, Aitkenvale. "There is a possibility that they have entered flowing water near the Dan Murphy's," Sen-Sgt Wilkie said. 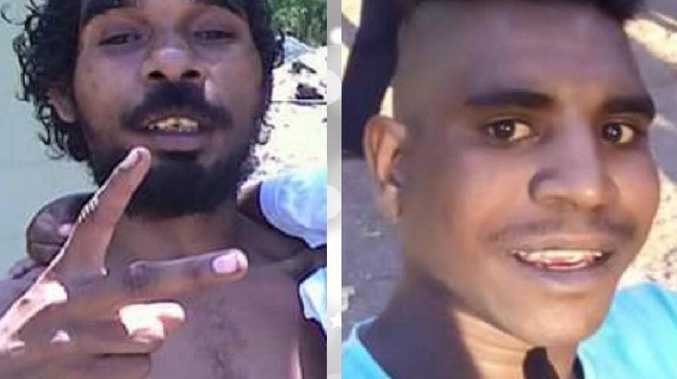 "Police are conducting inquiries attempting to locate those persons. "If they have entered floodwaters we have concerns for their welfare." Police are investigating whether the missing men are the same pair who ran away from officer's responding to a break and enter at the Dan Murphy's store. 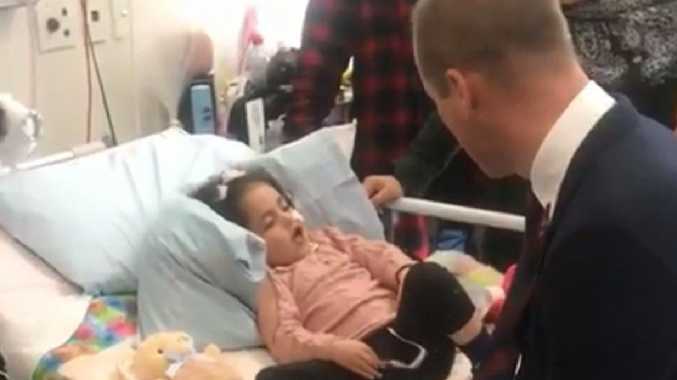 "One was arrested nearby and the other two have fled the scene," Sen-Sgt Brosnan said. "There is no excuse for that sort of behaviour in a natural disaster, people are doing it tough." Eight of Townsville's dozen Woolworths stores remain open. 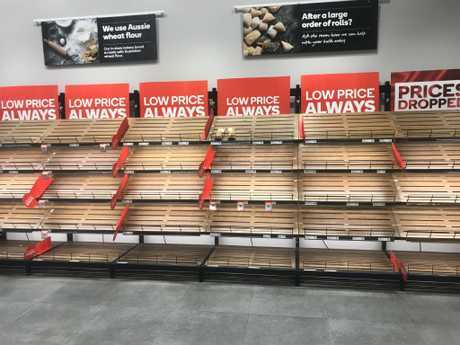 Very little bread is left at Woolworths in City Lane. "Additionally we have 30 contingency containers carrying essential lines such as water, long life milk, baby formula, beans, noodles and toilet paper, which we're drawing on to increase the stock in our stores," she said. Bread? What bread? 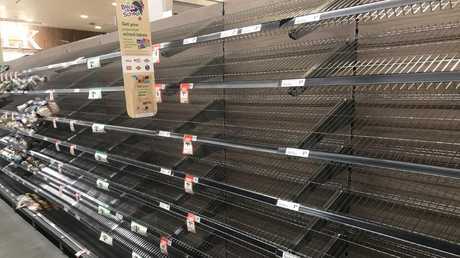 Shoppers have emptied shelves of loaves at Woolworth City Lane. "The plane will land in Cairns this afternoon and half the load will be trucked to Townsville on recently reopened roads," he said. "We are also investigating alternative delivery routes with trucks from Adelaide and Darwin on the roads to deliver to other flood-impacted areas of Far North Queensland. "Coles would like to thank our local suppliers, who have helped keep fresh milk, eggs and produce in stores wherever possible." "Observed rainfall rates have remained mostly moderate during today. However, further heavy rainfall may still develop tonight and/or on Tuesday, with six-hourly rainfall totals between 150mm to 200mm likely," the bureau warns. "Concentrated areas of intense rainfall with totals up to 300mm are possible, particularly with bands of thunderstorms. "Creek and river catchments are already saturated and will therefore respond extremely rapidly to any rainfall. Landslides have been reported with this event and will continue to be possible in vulnerable areas that have experienced significant rainfall." 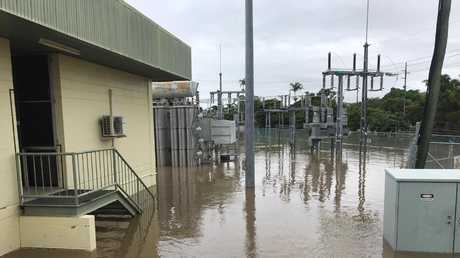 "The biggest impact has been in Hermit Park where the substation was switched off late yesterday when water entered the switchyard," the Ergon spokeswoman said. "Our number one priority is to keep everyone safe around our network - water and electricity don't mix. "Preventing major flood damage to electrical assets will also lead to more efficient restoration for the community. "Significant restoration of customers will not occur until the floodwaters have receded and crews have completed damage assessments of the inundated network." "This is extremely dangerous and potentially deadly," a spokeswoman said. "As petrol and diesel-powered generators produce deadly carbon monoxide fumes, always run portable generators outside the house - never inside or in a garage. "Keep generators well away from open windows - including your neighbours' - so deadly exhaust does not enter the home." Premier Annastacia Palaszczuk has warned Townsville residents that they're not out of the woods yet, with further heavy rainfall predicted for the region. About 1000 people are currently taking refuge in Townsville's evacuation centres, with multiple locations at capacity. "There is still heavy rainfall across this area, this monsoonal trough just doesn't seem to want to move much at all," she said. "If you don't need to be out on the roads, please don't."